If upgrading your office isn’t an option, then there are plenty of ways you can maximise the space you have without the hassles of relocating. 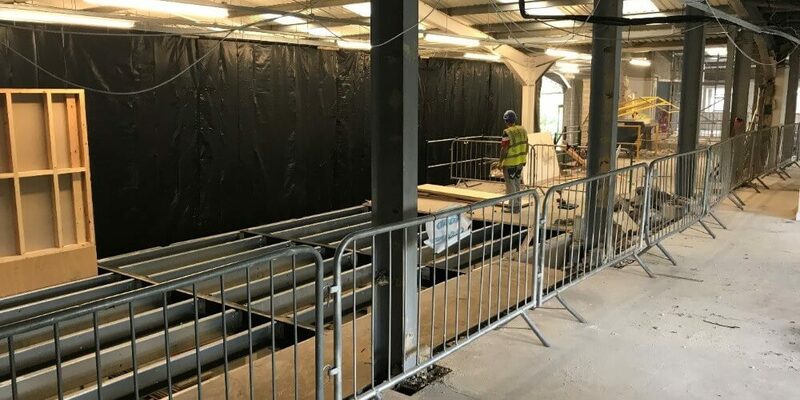 Installing a mezzanine floor as part of an office redesign instantly increases valuable floor area where space is a constraint. Mezzanine floors are typically constructed independent of the main building structure. Locating the support columns in the corners of the room may free up space underneath the mezzanine floor. However, there are many ways to build a mezzanine floor. Location and quantity of access staircases is determined by travel distances to protected escape routes. Good advice and compliant design are imperative. Mezzanines can be used to create dedicated areas, such as for relaxation or dining, away from the main work areas. A mezzanine floor with a stylish staircase can add an attractive design feature to your office too, as well as creating vital extra space. 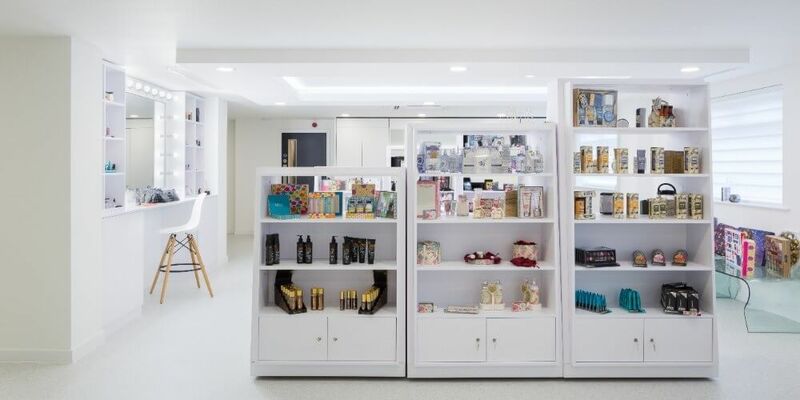 Cosmetics company Badgequo were looking for an office design solution which would support the company’s future growth in their current 10,500sqft office. 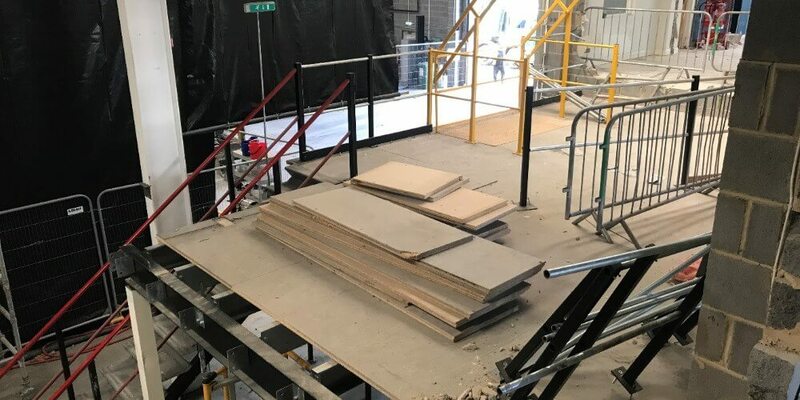 Fitting a mezzanine floor was a key way to maximise the existing space. The mezzanine floor added 145m2 (1560sq ft) to the overall office space. 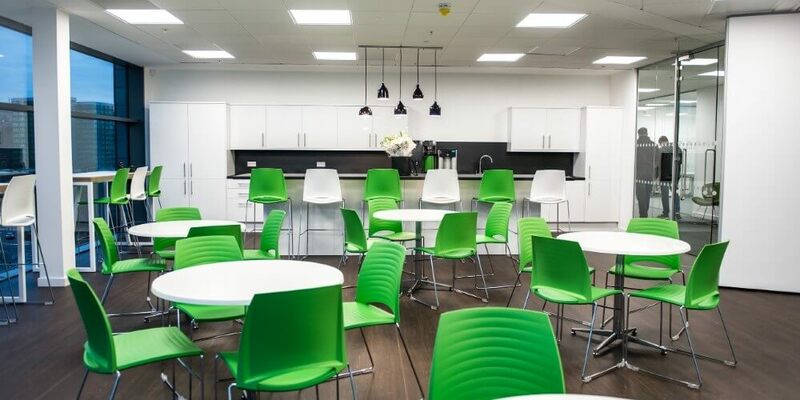 This area is now home to a variety of collaboration spaces including a meeting booth, a number of private meeting rooms and a new kitchen and dining area ‘Nosh and Natter’, to allow staff to enjoy lunchbreaks and downtime away from the main office area. Ridding an office of clutter is an obvious way to free up more space. One survey revealed that a cluttered workspace was the number one turn off for people visiting an office, so tidiness is crucial to making a positive first impression. Include personal storage space, such as lockers, as part of a redesign to instantly reduce clutter by safely storing away employee’s personal items. Lockers increase security and free up desk space and are particularly useful for employees who don’t have a dedicated workstation. Coat hooks may seem like an innocuous item but they keep chairs free from coats and scarves and can even be used to reflect your company’s brand. Ensure documents are regularly cleared away by using a weekly confidential waste collection service. Replace space-hogging flip charts with whiteboards. Better still, install glass boards in branded colours or writable walls to allow easy collaboration and ideas sharing. Post-It notes, note pads, diaries and desk top calendars create clutter, so swap these for their digital equivalent such as online project management software like Trello. Install cupboards along corridor walls to increase storage in areas with a lot of ‘dead space’. 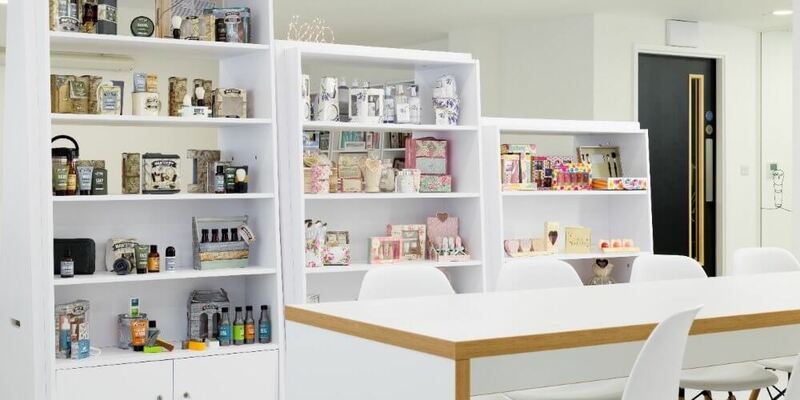 As part of the Badgequo office redesign, bespoke storage solutions were specified to be used as part of the company’s showroom. The storage units not only display the company’s products but they form movable partitions that create a flexible space for meetings and ideas sessions. Wall space can also be used for product display and branding purposes. The wall above the reception at outdoor product specialists Go Outdoors features a large display of the company’s actual products. This is a unique way to create a sense of fun, whist simultaneously displaying showcasing what the company specialises in. Lighting has a huge impact on how people feel and behave at work, so any office redesign should consider upgrading the current lighting. This is especially important with smaller offices, as a clever use of lighting can actually make the space seem bigger, as well as making it more practical. Increase the amount of natural light as a priority as natural light can boost productivity and sales, so maximising window space, fitting glass doors and installing light wells will all help light flow through the space. Maximising natural light will also reduce the amount of table and floor lamps needed which can take up valuable room in an office. If you do require the extra lighting provided by table and floor lamps, then consider swapping these for wall lights. Switch to LEDs – these environmentally friendly fittings produce a better quality of light than traditional fluorescent tubes and are far more cost-effective in the long term. Highlight designated areas within an open plan space by using lighting features to create focal points. XL Joinery used lighting to ‘zone’ different areas within the largely open plan office space. 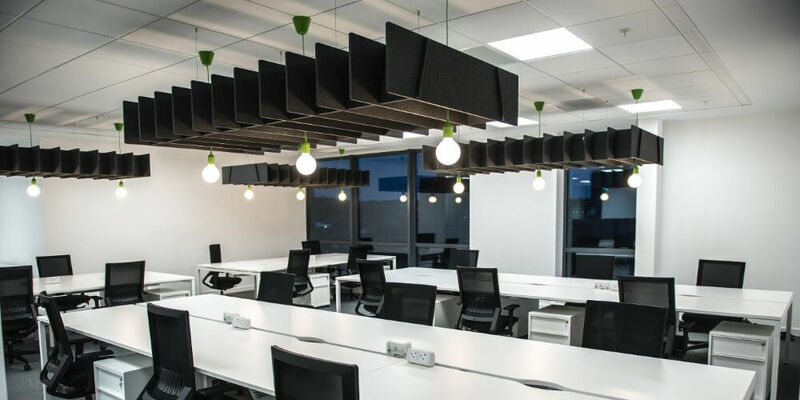 This included pendant lighting over collaboration areas and the reception, and ceiling spotlights and panels for more traditional spaces, such as meeting rooms and corridors. To increase natural light, traditional cellular offices were demolished and replaced with open space where direct natural light could be harnessed. Effective use of glass and glass panelling throughout the office increased the distribution of natural light. Introducing flexibility to a smaller office space can drastically increase the space available. Allow people to work from home and offer flexitime to free up space by creating opportunities for desk-shares, hot-desking and use of meeting rooms and collaborative spaces for everyday work. Focus on which areas require the most space. Research shows that employees rate relaxation and breakout spaces as the most important feature in an office to boost productivity, so this could be a consideration if your current layout doesn’t have these. 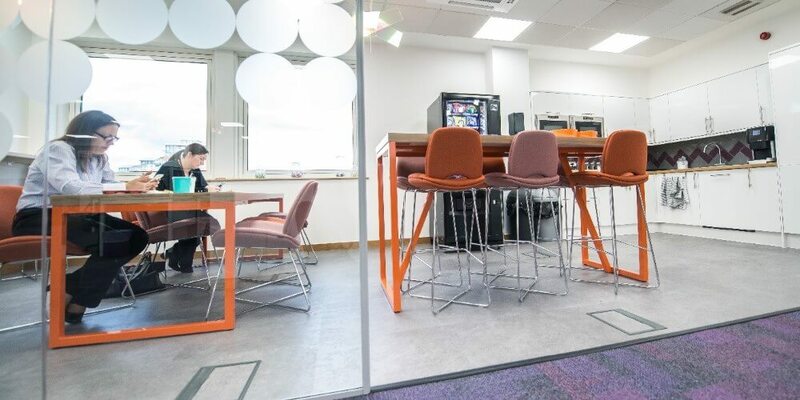 Dining areas could double up as collaborative meeting spaces, or they could be given their own dedicated area, as in the case of Badgequo’s mezzanine floor, for eating and socialising. 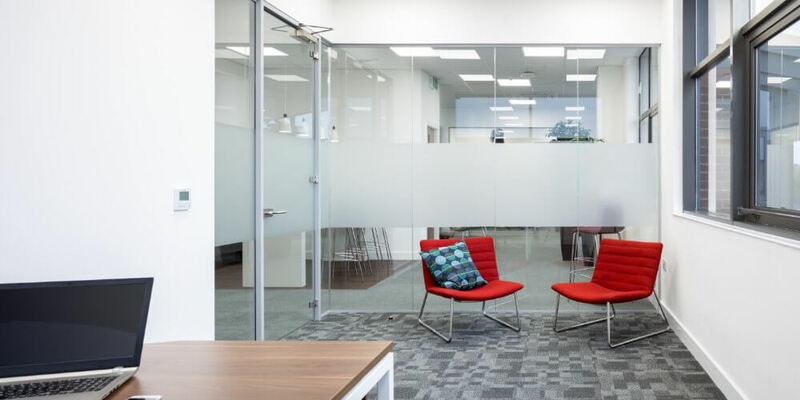 There might not be space for separate private offices in a small office, but booths and acoustic seating can help to increase privacy and minimise noise distraction. 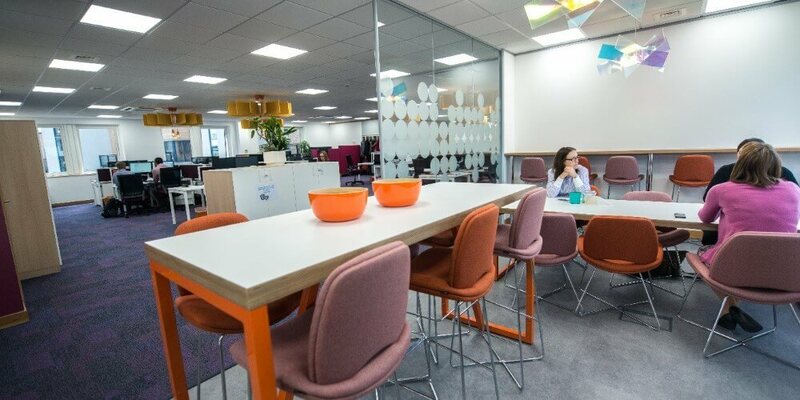 The pressures of having to reduce floor space from four to two floors meant law firm Gordons LLP had to completely rethink how they used their office space. To make the limited space work, the whole office was redesigned as open plan, making it the first major law firm in the country with an open plan design. 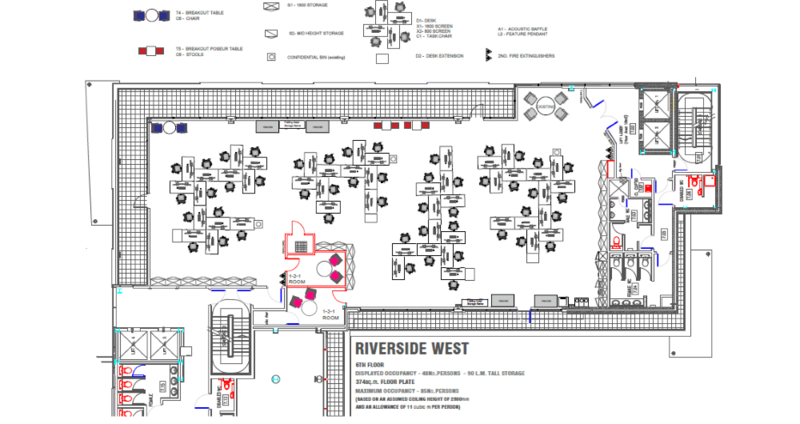 Creating an open plan area meant freeing up the space previously taken by private offices, whilst installing private booths and increasing the space used for breakout areas and meeting spaces. When space is at a premium, furniture can be used in clever ways to make the most of the floor space available. Modular furniture can make spaces such as collaborative areas more flexible as it can easily be moved around to suit different requirements. Some modular furniture features handy extras such as integrated power modules in seating and screens in tables to free up further space and keep cables cleverly out of sight. Lighter coloured furniture can create the sense of more space, so opt for white tables and desks for the greatest space-creating effect. Stackable or folding furniture means excess chairs and tables can be used as and when needed for meetings or as desk space for temporary employees. Standing tables can fit more people around them compared to traditional tables and can also encourage people to move more. Research suggests that standing can reduce meeting times by 25%, improving efficiency and preventing unproductive meetings where staff switch off. 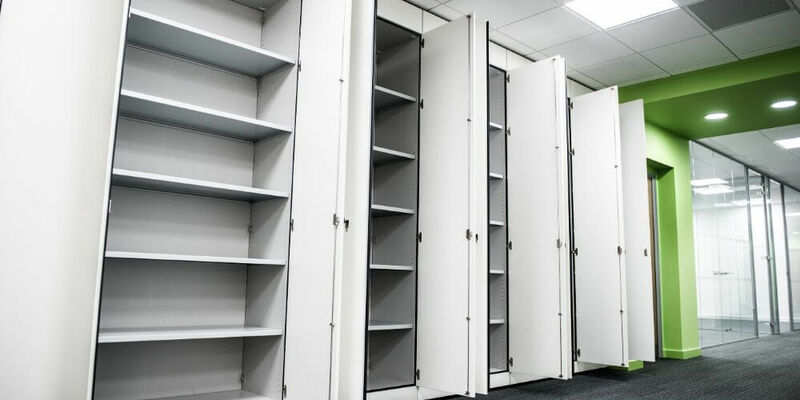 Movable partitions can be fitted to make spaces more adaptable to a company’s requirements, by opening up or closing off spaces as and when needed. The offices of digital media agency Zoo Digital feature white desks, folding partitions and stackable furniture to help the company make the most of the space available. For more information on how you can make the space available in your small office work for you, speak to the team on 01142331115 or contact us here.